Yes, the headline is correct. Dark chocolate is good for you. Your eyes do not deceive you. I’ve written previous articles about dark chocolate and it’s powerful antioxidant punch. Link here. This time a new study shows an improvement in eye sight. Link here. The dark in dark chocolate is dependent upon the amount of cocoa. The cocoa bean is processed and mixed with other ingredients to produce chocolate. The more cocoa the more beneficial to your health. When buying dark chocolate, look for 75% or above on the package. Cocoa contains flavanol which is the active compound that can improve vision. The study is comprised of healthy adults who consumed either milk or dark chocolate. 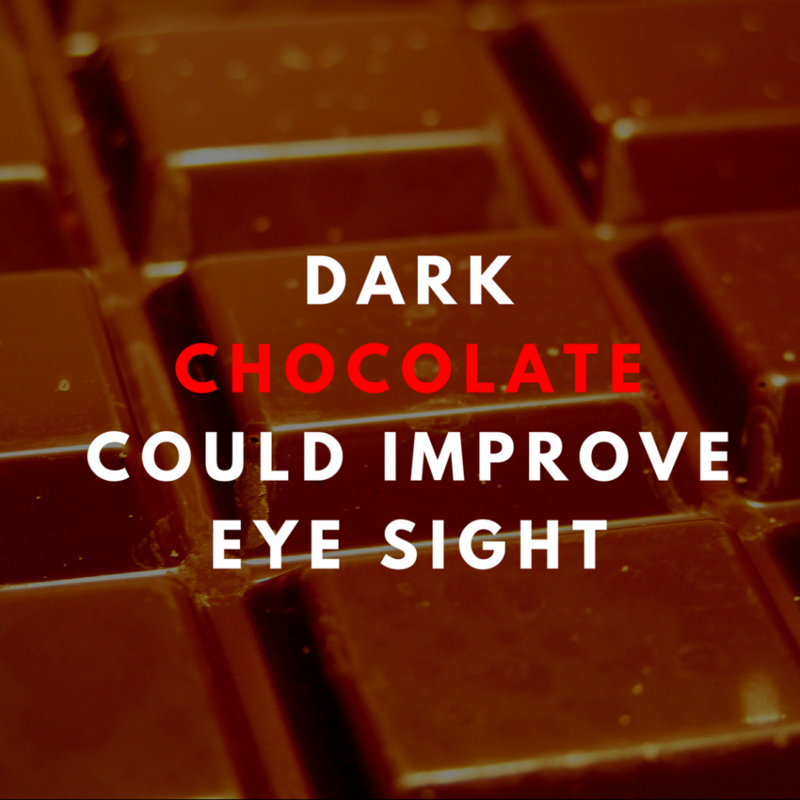 An increase in visual acuity with dark chocolate consumption show a 20/12 improvement while milk chocolate consumption shows an improvement of 20/15. Flavanols work to increase the elasticity of blood vessel and increase the amount of nitric oxide. Nitric oxide is a vasodilator. Vasodilation increase the diameter of the blood vessels which means more blood flow. In this case more blood for the retina, a highly vascularized area. Try looking in the mirror and notice the amount of arteries you see. It’s a lot. Although this is small study, there is a large amount of evidence that shows flavanols can reduce the risk for heart disease, coronary heart disease, and stroke. Link here. Besides vasodilation, flavanols work to heal damaged blood vessels. So how much dark chocolate should you eat? Eating 2-5 servings of 1.5 ounces of dark chocolate per week should provide optimal amounts of flavanol. After all, eye sight improvement is shown after 2 hours before ingestion. You are welcome for this sweet article.